Walgreens: MONEYMAKER Gillette Foamy and $0.20 Gillette Series Shave Gel! Walgreens: $0.99 Crest Toothpaste and Pro-Health Intense Mouthwash + Oral-B 3D White Toothbrush! Walgreens: $3.23 Schick Quattro for Women, Intuition or Hydro Silk Razor! Walgreens: FREE All Liquid Detergents, Powercore or Mighty Pacs! Walgreens: Only $0.99 for Blink Contact Drops! 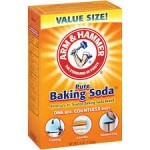 Walgreens: $0.64 Arm & Hammer Pure Baking Soda and $1.33 Purex Crystals! 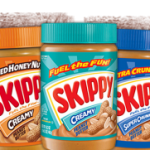 Walgreens: Kellogg’s Cereals as low as $1.50! Walgreens: Only $1 for Sweet Baby Ray’s! Walgreens: $0.75 Revlon Slant Tip Perfect Tweezer and $1.45 Revlon Eyelash Curler! Walgreens: $2.69 Swiffer Refills and Bounty Essentials – 6 rolls + FREE Mr. Clean Magic Eraser!